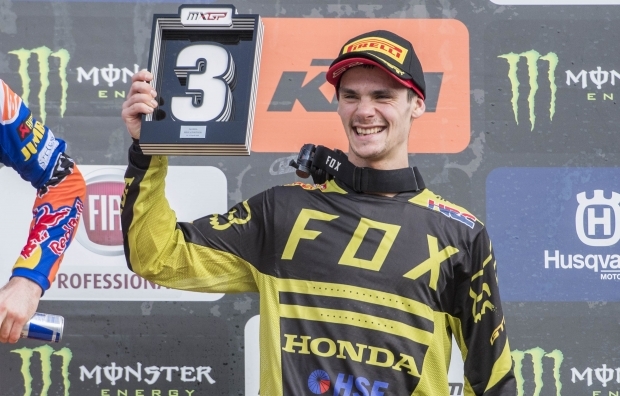 Calvin Vlaanderen wrapped up his MXGP of Portugal with a top-6 finish in today’s second MX2 encounter at the ‘Crossodromo de Águeda’, which made up for the 18th position claimed in the opening race of the day. After five rounds completed in the 2018 edition of the series, Vlaanderen currently… read more. 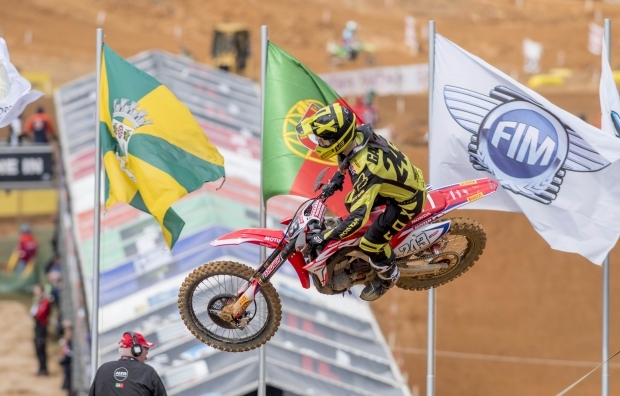 Tim Gajser has claimed his maiden podium of the season at Águeda at the end of an exciting racing weekend, which saw the Team HRC rider third and fifth aboard his Honda CRF450RW machine in today’s Portuguese MXGP races. Gajser enjoyed a great launch off the gate in race one… read more. Team HRC’s Calvin Vlaanderen put together a solid performance in today’s qualifying race at Águeda in Portugal, as he crossed the line in sixth place aboard the all-new Honda CRF250RW. After earning an encouraging fourth gate pick in timed practice, Vlaanderen got off to a brilliant start and was second… read more. 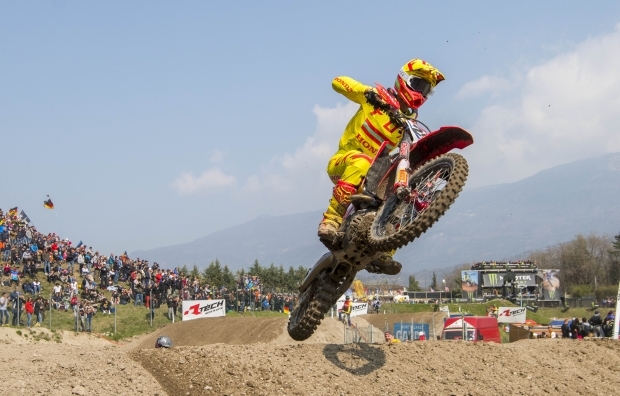 Tim Gajser has earned the fourth gate pick for the opening race of the MXGP of Portugal after a convincing performance aboard his Team HRC Honda CRF450RW machine in today’s qualifying race at Águeda. Earlier in the day, the 21-year-old from Slovenia was fourth and second, respectively, in the free… read more. Team HRC is heading to the very west end of Europe to contest the fifth round of the 2018 MXGP World Championship, which takes place this weekend at the ‘Crossodromo Internacional de Agueda’. 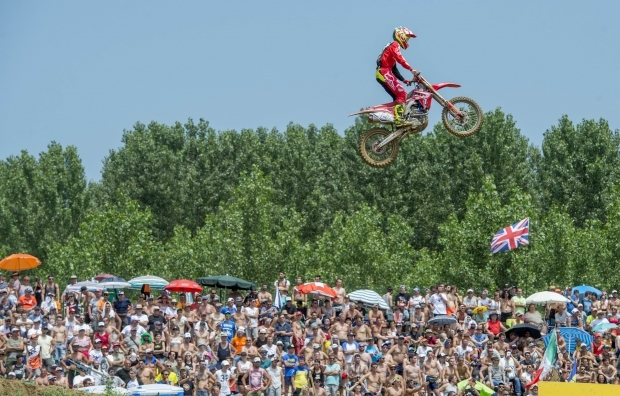 With weather forecasts predicting a very wet scenario, Tim Gajser and Calvin Vlaanderen are keen on jumping… read more. 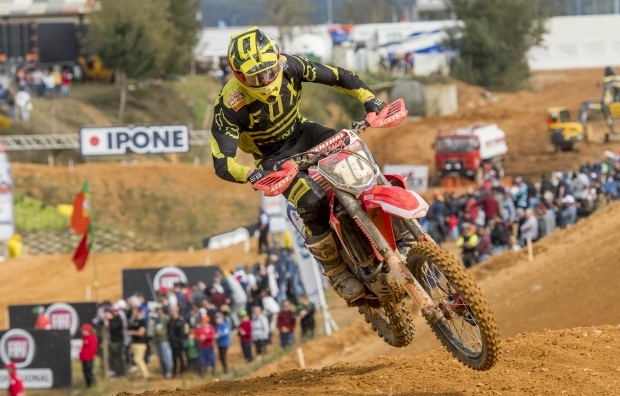 Following his strong qualifying result yesterday, Anthony Rodriguez had a firm goal in sight on his CRF250RW for HRC MX2 as racing got underway today in Agueda. Getting comfortable with the race schedule and knowing he was capable of finishing inside the top 10, after a weak start, Rodriguez fought… read more. 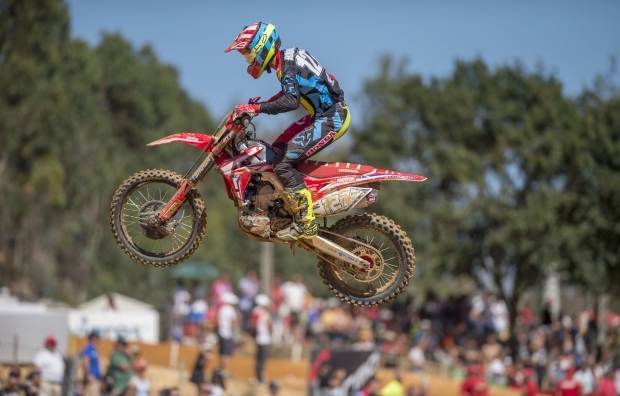 The MXGP of Portugal has been a weekend of progression for Tim Gajser #243 and Evgeny Bobryshev #777 on their CRF450RW’s, as the duo still work to overcome their mid-season injuries. As the gate dropped for the first race, Gajser found himself getting caught up in the first corner, hindering… read more. 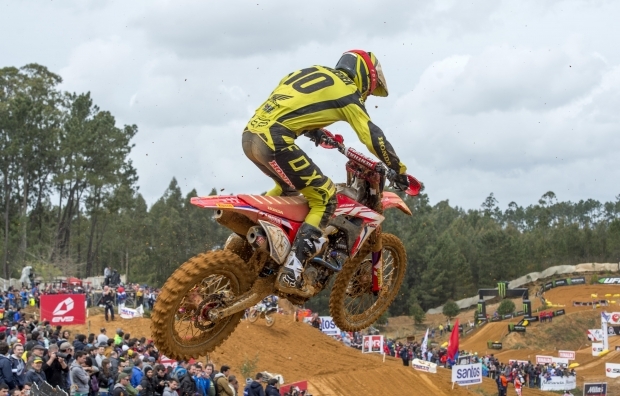 Rodriguez proves himself in Portugal MXGP qualifying. 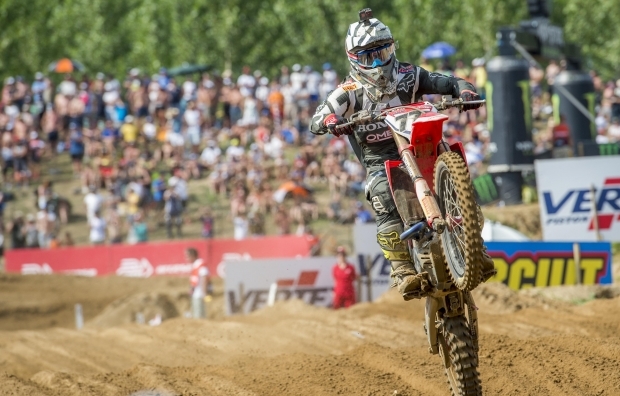 Rodriguez proved what he was capable of achieving today on his CRF250RW in the MX2 qualifier of the MXGP of Portugal. Settling into the MXPG format and having spent more time on the bike, Rodriguez had a solid qualifying race today in Agueda. Getting a good gate, he was able… read more. 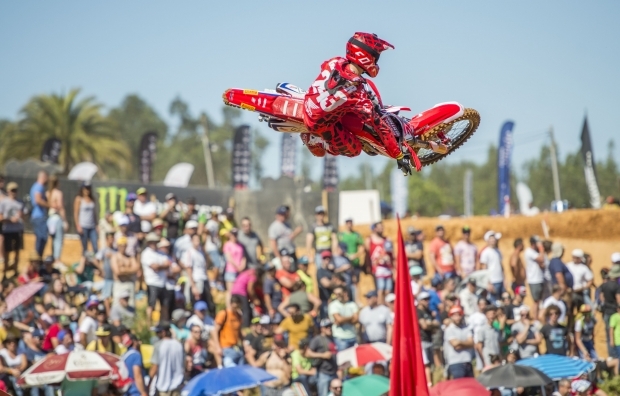 In the glittering Portuguese soil of Agueda; Tim Gajser took a fifth-place finish today in the qualifying race of the MXGP of Portugal. 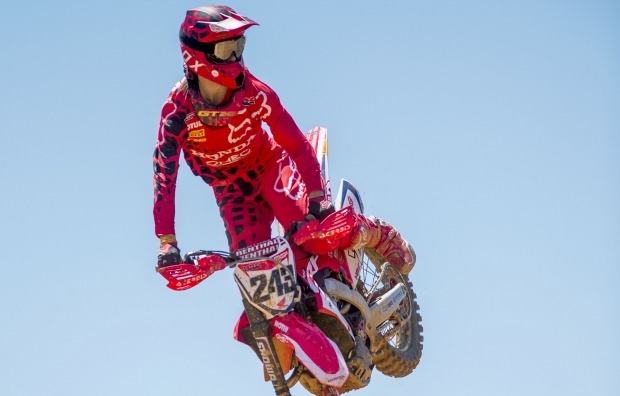 After a tentative comeback last week, Gajser proved he was prepared to come back fighting this weekend on his CRF450RW. In the first corner off the start,… read more. With less than a week between rounds, HRC MX2 head to Agueda Portugal this weekend for round 12 of MXGP. Having had to adjust quickly to the MXGP format last weekend, Anthony Rodriguez #172 is determined to prove himself on the CRF250RW. This will be the second race for the… read more. As the season now enters well into its second half, HRC MXGP head straight to Agueda Portugal, which makes a return to the series this year, for round 12 of the FIM world championship. 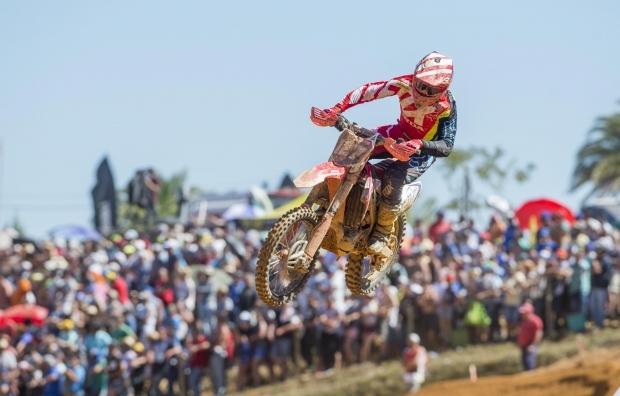 Coming straight from Ottobiano which was the hottest race of the year and where Tim Gajser… read more.